Is Blowing up an Asteroid With a Bomb Really a Good Idea? Recently, in a rather shocking announcement, Russian scientists announced they plan to shoot down space rocks. Or to be more literal, they want to blow up asteroids using Cold War-era missiles. According to Russian state-owned news agency TASS, scientists want to retrofit intercontinental ballistic missiles (ICBM) to target asteroids ranging in size from 20 to 50 meters that are at a dangerous proximity to Earth. The goal would be to deflect the space rocks, or destroy them, so that they cannot cause damage to our planet or its cities. Though small, these asteroids can still cause significant damage and are sometimes only detected by observatories a few hours in advance of reaching Earth. In fact, sometimes, they aren’t detected at all. 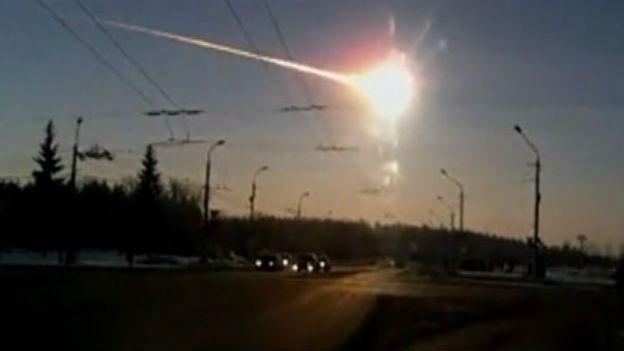 Case in point, back in 2013, a 20-meter-wide meteor appeared in the sky over Chelyabinsk, Russia, shattering glass in buildings and leaving over 1,000 people injured. A 355-yard asteroid, dubbed Apophis, is expected to come close to Earth, and Russian scientists would like to test the plan on this asteroid. You may think larger asteroids are the threat, and where we should be focusing our attention, but according to Jason Kessler, the director of NASA’s efforts to find all asteroid threats, NASA calculates it has “discovered about 95% of the one kilometer or larger asteroids.” Also, if we eventually want to be able to tackle a larger global-killer, we will need to start with something small. To that end, it is good that Russia has a plan in place, but are missiles appropriate? For example, instead of blowing up the space rocks, NASA and the ESA plan to “shove them” away from the planet. This sounds a little less worrisome for a number of reasons. To clarify, ICBM’s are the long range nukes that the USSR and USA had pointed at each other during the Cold War (in fact, they still have some pointed at each other). Russian scientists argue that typical rockets are not good candidates for seizing asteroids because they require too much lead time to meet an asteroid that might be detected only days before impact. And true enough, typical payload rockets take several days to fuel. On the other hand, ICBM’s can be launched at a moment’s notice. The only setback for the Russian scientists are the costs of upgrading these ICBM’s to be asteroid killers. NASA is not saying much other than emphasizing their non-nuclear approach. The major question, however, is what if something went wrong? For example, what if an explosion went off in low-Earth orbit? Radioactive material would be spread throughout the atmosphere with drastic consequences for the life below. Galushina also pointed out that using nuclear weapons in space is against the terms of the Outer Space Treaty. However, she believes that in the case of a “real threat to humankind,” an exception to the rule would be made. Let’s hope it never comes to that. Armageddon: How Large Must an Asteroid be to Exterminate All Life on Earth?